ALL vehicles are parked within our hard standing compound for the duration of your stay – less than 1 mile from the airport. You can book valets on your day of travel. All customers need to pay the drivers £4 on arrival to allow them to exit the terminal in your vehicle when bringing the car back to you on return. All customers must call us 20 mins away from their allocated time. All customers must turn up on time. Any extra costs occurred by the customers arriving early will be met by the customer. These are the procedures that we have in place now, however depending on how busy the terminal forecourts get we may direct customers to the relevant multi storey car park. Upon your return, once you have collected your luggage and cleared customs, please call the chauffeur number. You will be met by the chauffeur, taken to your vehicle and given the exit token which you will have to pay at the pay station prior to exit. Go to Level 3 and wait near the lift doors for your car. 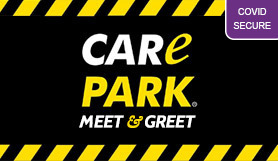 Meeting point is at the multi-storey car park and go to level D.